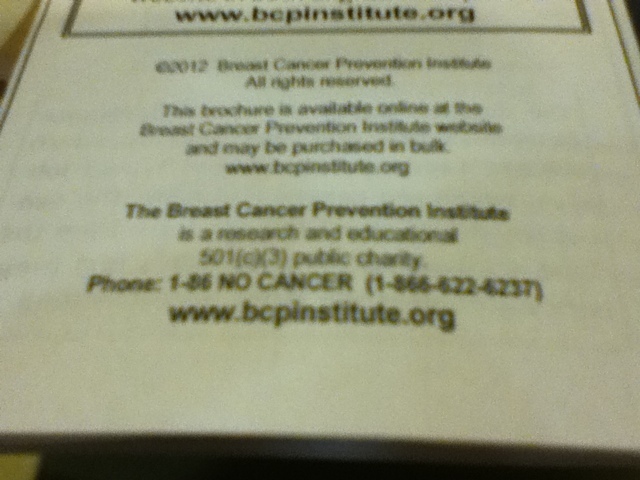 These little pamphlets just showed up outside The Evergreen State College Library. 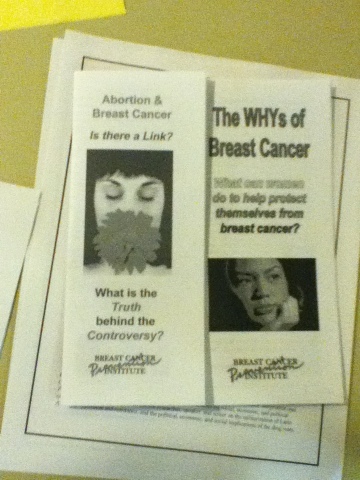 They are disguised as tracts promoting breast cancer awareness, but are actually anti-choice propaganda falsely linking breast cancer to legal abortion and contraception. Now they also have Satanic Surprises inside. 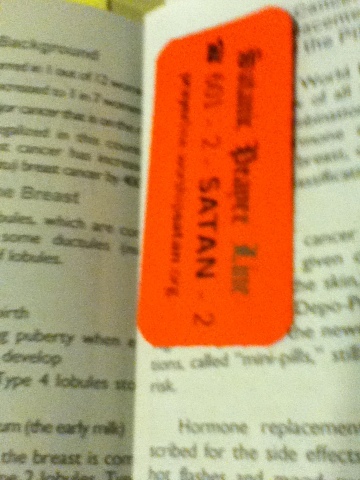 Call the Satanic Prayer Line and we'll pray to satan for whoever is leaving these tracts at the Evergreen Library. Hail Satan! The Antichris has finally made some Satanic candles for all your depraved ritual needs. Get a free sample like this at the next gathering of Olympia Satanists, this Wednesday, February 27, in room 200 of the Olympia Center. Cookies will be served.